The Sly Slider CS-Cart add-on adds an attractive horizontal slider with category, products, brands, new products with different settings on the page in an online shop. The add-on is currently compatible with CS-Cart v.4.0.x - 4.9.x. 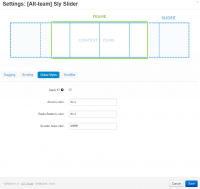 the slider is fully adaptive and it's very convenient for all mobile users. The carousel allows to draw customers attention to the concrete area of the page and improve behavioral factors in the store. 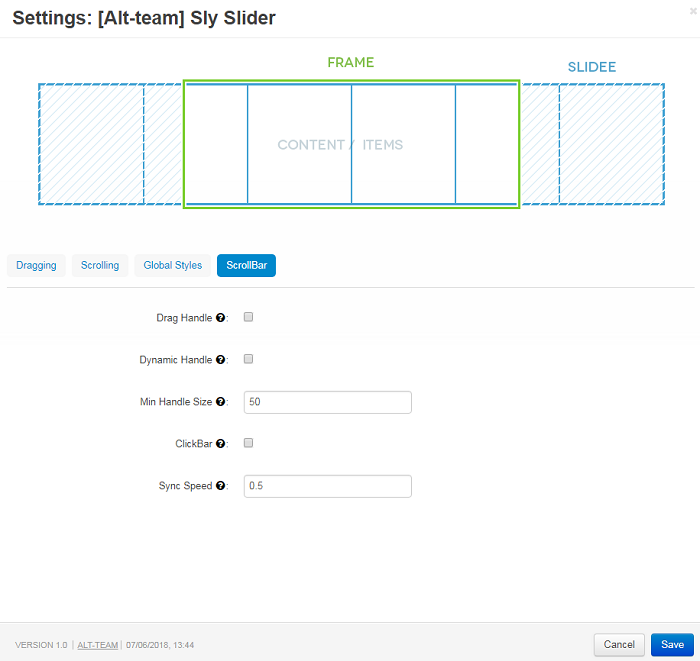 Not only images are contained in the Sly Slider, but text too. 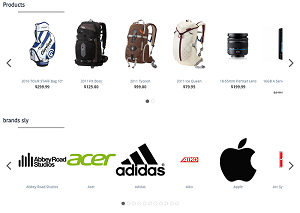 You can show product pictures, titles and prices in the carousel on the main page or any other page of the eCommerce website. This feature gives more information about products and motivates customers to move to the concrete product page from the home page. 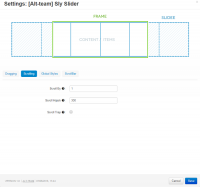 Settings made by Administrator can effect on dragging, scrolling, and scrollbar. The administrator can even set the global styles of design. Read more about settings in the documentation tab. The module has the responsive design. It works correctly with 4 versions of CS-Cart and MultiVendor. The add-on shows perfectly on all modern versions of browsers. Please, remember that this module can be changed easily to meet your demands. Mouse Dragging - Enable navigation by dragging the SLIDEE with a mouse cursor. Touch Dragging - Enable navigation by dragging the SLIDEE with touch event. Release Swing - Easy out on dragging swing release. Elastic Bounds - Stretch SLIDEE position limits when dragging past FRAME boundaries. Swing speed - Swing synchronization speed: where,1 = instant, 0 = infinite. Scroll by - Pixels or items to move per one mouse scroll. 0 to disable scrolling. Scroll hijack - Milliseconds since last wheel event after which it is acceptable to hijack global scroll. Scroll trap - Don’t bubble scrolling when hitting scrolling limits. Apply it? 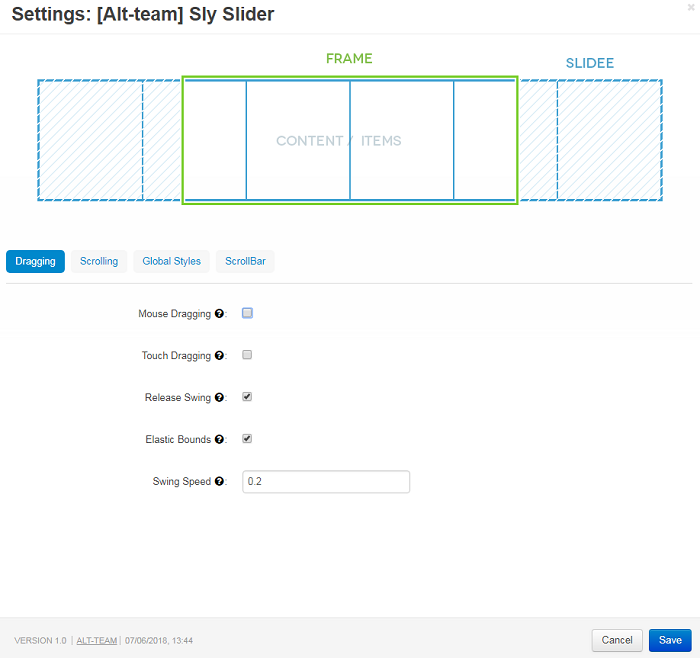 - All styles settings for all SLY sliders will be applied to these color settings. Drag Handle - Whether the scrollbar handle should be draggable. 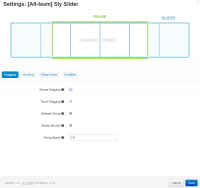 Dynamic Handle - Scrollbar handle represents the ratio between hidden and visible content. Min Handle Size - Minimal height or width (depends on sly direction) of a handle in pixels. ClickBar - Enable navigation by clicking on a scrollbar. Sync Speed - Handle=> SLIDEE synchronization speed, where:1 = instant, 0 = infinite. 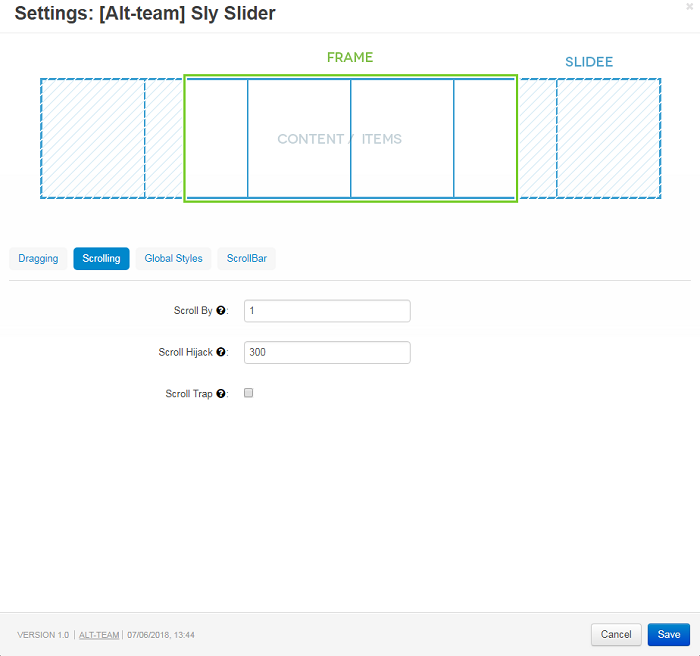 How to add Sly Slider on the homepage? 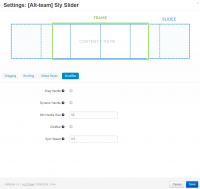 To make different settings to different sliders on the home page, go to Design-> Layouts-> Homepage. 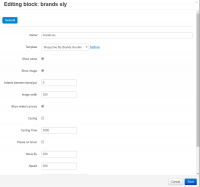 In the General tab enter the name and choose the template - ShopyOne Sly Brands Scroller. 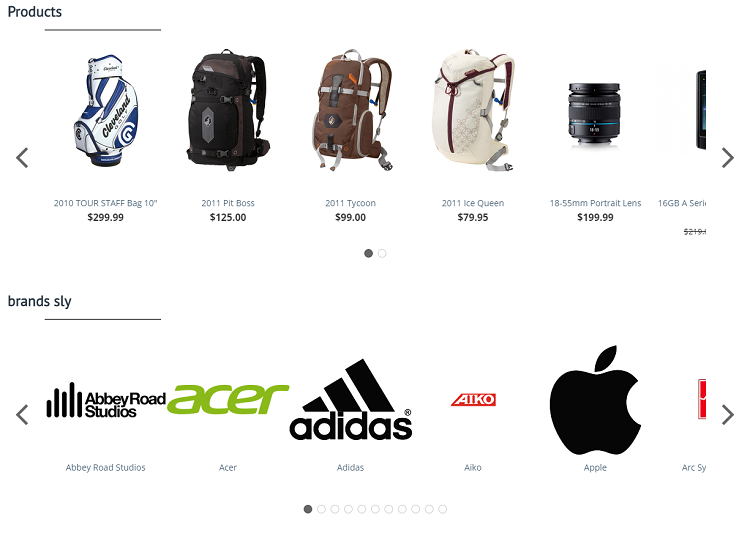 The template ShopyOne Sly Brands Scroller adds new settings to a carousel. 1. 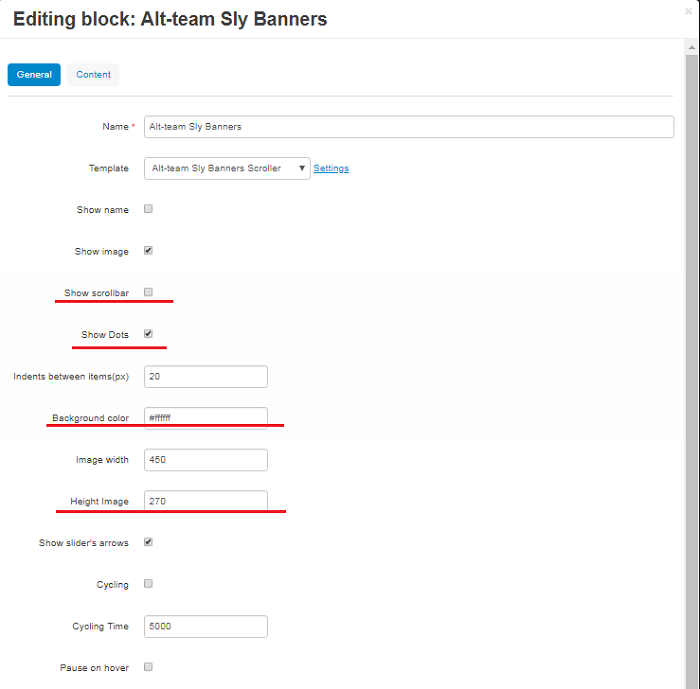 New block Sly Banners. 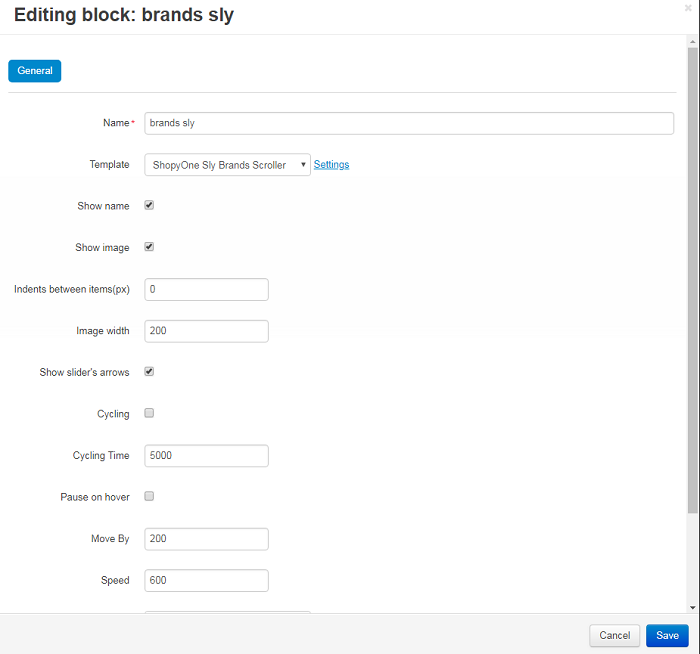 It allows adding banners to content items. 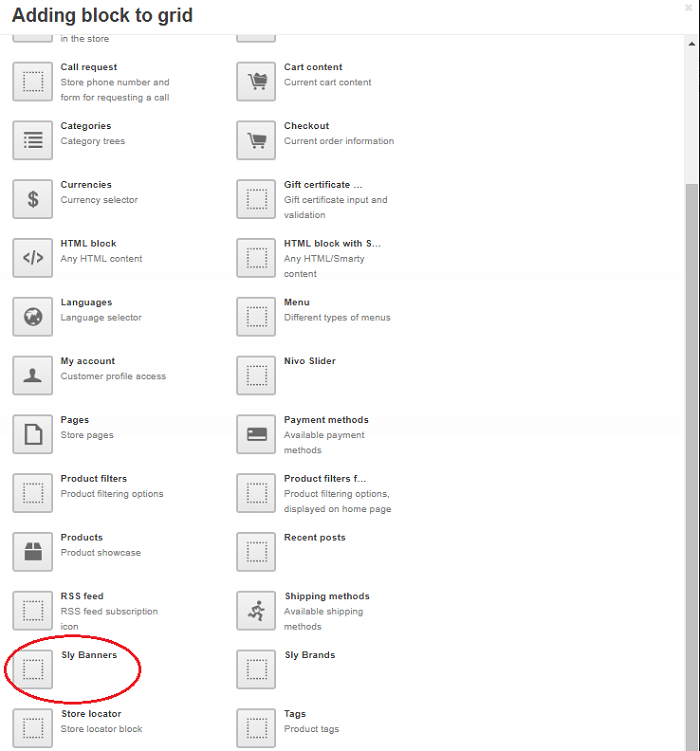 Banners have links to any pages, you have assigned to the banner in the settings. 2. 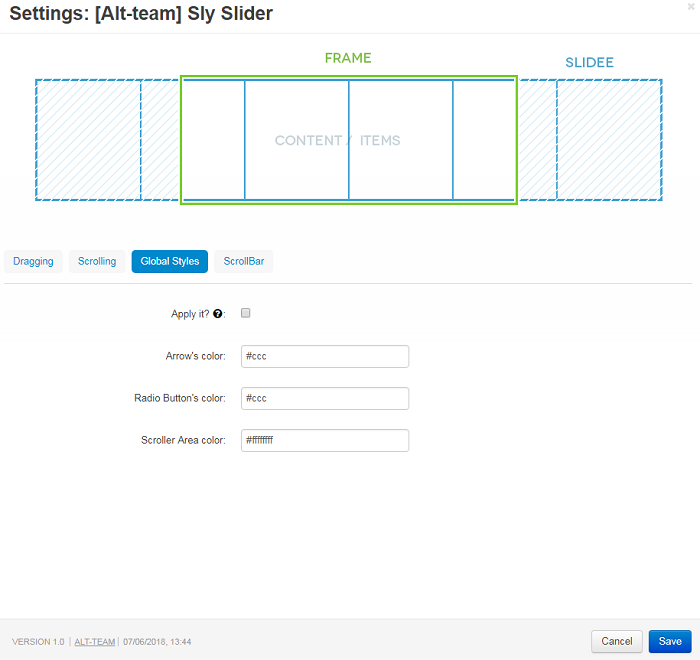 New custom CSS has been added. It adds the additional background for the slider that looks more interesting. The ability to change the color of the slider background is on settings. 3. The ability to add View All button has been placed. You can assign any link you want to this button. After the payment is made, and our managers see the money on our account, you are able to download the archive with files from the order page. 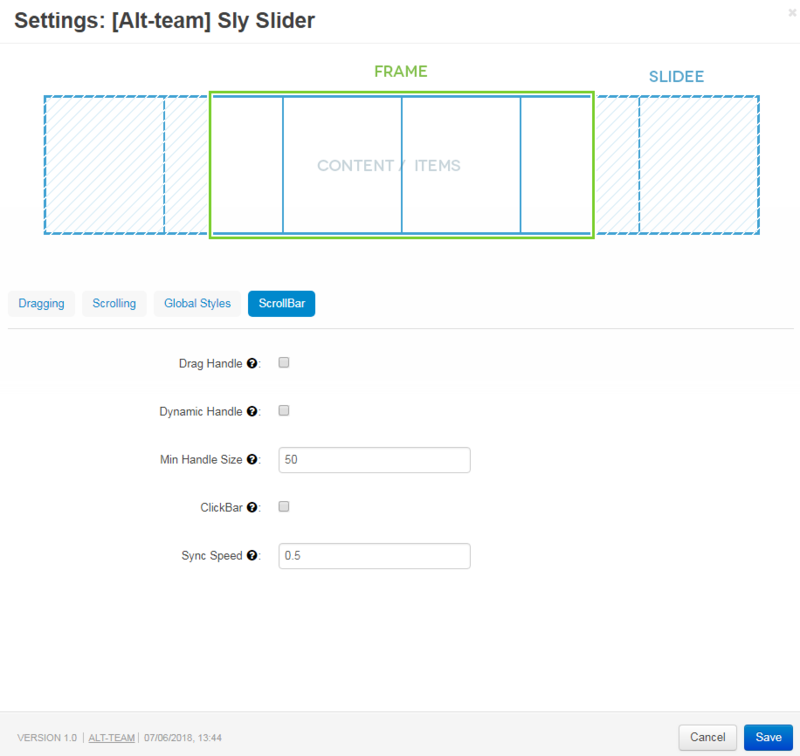 Download the archive with the Sly Slider add-on. Log into the administration panel of your store, go to the Add-ons -> Manage add-ons(CS-Cart 4). 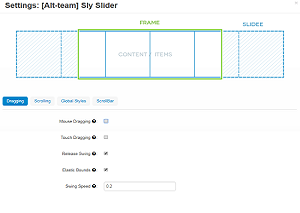 In the list of add-ons find the Sly Slider add-on and click Install opposite to its name. Make sure that the status is Active.